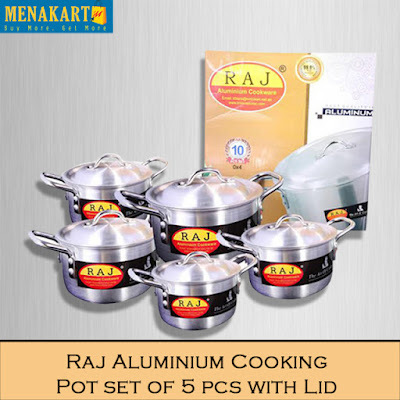 A necessity for any kitchen, this versatile Raj Aluminum Cooking Pot, Set of 5 Pieces [RATP01] has everything you need to prepare delicious meals every time. It is sure to meet those standards for every cook searching for reliably healthy and delicious results. It is perfect for cooking everything from pasta dishes to soups and stews. These 5 sets of pots are multi-functional cookware that works wonders with every recipe and all your favorite foods.